Antarctica: A Year on Ice (recommended): This documentary looks at what it’s like to spend the whole year in Antarctica. It’s a marvelous collection of stunning imagery and informative and entertaining interviews with those precious few who can call themselves residents of this legendary continent. Now playing at Village East Cinemas. Read my review from yesterday. 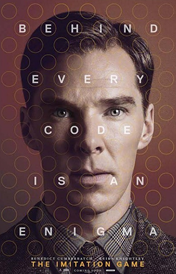 The Imitation Game (recommended): This World War II thriller stars the terrific Benedict Cumberbatch as the leader of a British intelligence unit tasked with breaking the German enigma code. It’s a cool concept that makes for an enthralling if not entirely memorable film. Now playing at the Angelika and the Paris Theatre. Read my review from Thursday. Penguins of Madagascar (mixed bag): This animated film, which I saw as the family choice movie for Thanksgiving, is relatively enjoyable and funny, but it doesn’t capture the same universal spirit that many animated films these days do. Now playing in wide release. My review will be up tomorrow. 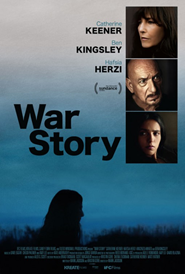 War Story (mixed bag): This was the last of 31 films that I saw at Sundance this past year and was probably the least involving or memorable. Catherine Keener anchors a theoretically compelling story whose tedious pacing does the film few favors. The Conformist (recommended): I saw this 1970 Bernardo Bertolucci film in an Italian Cinema class while studying abroad in Florence five years ago. Jean-Louis Trintignant of “Amour,” then just forty years old, anchored a strong and classic mobster story definitively stylized by one of Italy’s most prominent filmmakers. Happy Christmas (recommended): Anna Kendrick is perfectly charming as an immature screwup who has difficulty being an adult when she stays with her brother, his wife, and their baby. 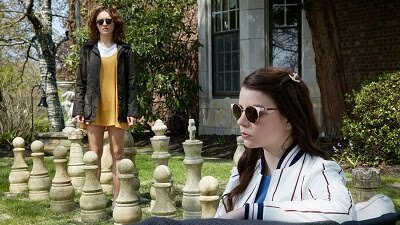 Director Joe Swanberg gives a great companion performance in this enjoyable comedy. Ida (mixed bag): This Polish drama, which serves as its country’s Oscar submission for Best Foreign Film, has an intriguing concept but doesn’t match its premise with a worthwhile or unique payoff. My review is coming soon. Whitey: The United States of America vs. James J. Bulger (recommended): This documentary about Whitey Bulger, the notorious mobster who faced trial last year for his many crimes after spending almost two decades in hiding, is full of facts and strong arguments, and proves interesting even if it doesn’t truly unmask the man himself.